Interest in microarrays has increased considerably in the last ten years. This increase in the use of microarray technology has led to the need for good standards of microarray experimental notation, data representation, and the introduction of standard experimental controls, as well as standard data normalization and analysis techniques. Statistics for Microarrays: Design, Analysis and Inference is the first book that presents a coherent and systematic overview of statistical methods in all stages in the process of analysing microarray data – from getting good data to obtaining meaningful results. Provides an overview of statistics for microarrays, including experimental design, data preparation, image analysis, normalization, quality control, and statistical inference. Features many examples throughout using real data from microarray experiments. Computational techniques are integrated into the text. Takes a very practical approach, suitable for statistically-minded biologists. Supported by a Website featuring colour images, software, and data sets. 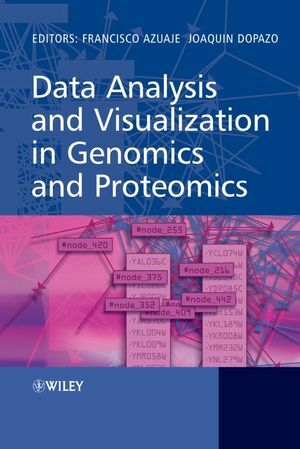 Primarily aimed at statistically-minded biologists, bioinformaticians, biostatisticians, and computer scientists working with microarray data, the book is also suitable for postgraduate students of bioinformatics. Ernst Wit is the author of Statistics for Microarrays: Design, Analysis and Inference, published by Wiley. 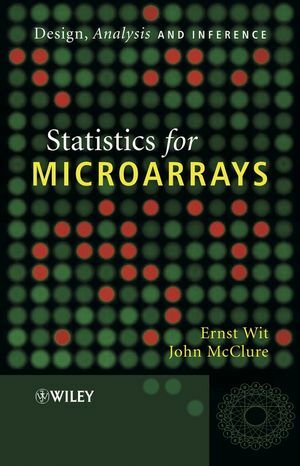 John McClure is the author of Statistics for Microarrays: Design, Analysis and Inference, published by Wiley. 1.1 Using the R Computing Environment. 1.2 Data Sets from Biological Experiments. 1.2.1 Arabidopsis experiment: Anna Amtmann. 1.2.2 Skin cancer experiment: Nighean Barr. 1.2.3 Breast cancer experiment: John Bartlett. 1.2.4 Mammary gland experiment: Gusterson group. 1.2.5 Tuberculosis experiment: BµG@S group. 2 Set-up of a Microarray Experiment. 2.1 Nucleic Acids: DNA and RNA. 2.2 Simple cDNA Spotted Microarray Experiment. 2.2.3 Adding spiking RNA and poly-T primer. 2.2.4 Preparing the enzyme environment. 2.2.6 Preparing cDNA mixture for hybridization. 3 Statistical Design of Microarrays. 3.2.1 Biological and technical replication. 3.3.1 Blocking, crossing and randomization. 3.4.3 Dealing with technical replicates. 3.5.1 Optimal design of dual-channel arrays. 3.5.2 Several practical two-channel designs. 4.2.1 Scale of gene expression data. 4.2.2 Using control spots for normalization. 4.3 Normalization for Dual-channel Arrays. 4.3.1 Order for the normalizations. 4.3.5 Normalization within and across conditions. 4.4 Normalization of Single-channel Arrays. 4.4.2 Normalization of Affymetrix data. 5.1 Using MIAME in Quality Assessment. 5.2.2 Dissimilarity and distance measures. 5.4 Consequences of Quality Assessment Checks. 6.2.1 Myth: ‘microarray data is Gaussian’. 6.2.2 Myth: ‘microarray data is not Gaussian’. 6.2.3 Confounding spatial and dye effect. 6.2.4 Myth: ‘non-negative background subtraction’. 7.1.3 Clustering methods for samples. 7.3.1 Similarity measures for expression profiles. 8.1.1 Classical versus Bayesian hypothesis testing. 8.2.1 What is a hypothesis test? 8.2.2 Hypothesis tests for two conditions. 8.2.4 Results from skin cancer experiment. 8.3.1 A general testing procedure. 9 Predicting Outcomes with Gene Expression Profiles. 9.1.2 Modelling and predicting continuous variables. 9.2 Curse of Dimensionality: Gene Filtering. 9.2.1 Use only significantly expressed genes. 9.2.2 PCA and gene clustering. 9.3.1 Variance-bias trade-off in prediction. 10.1.1 Myth: ‘Bonferroni is too conservative’. 10.1.2 FPR and collective multiple testing.